The Electoral College of 538 members will meet behind closed doors on December 19 in each of the Fifty States, to cast their ballots. There is no national meeting of the Electoral College. These 6 signed copies (ballots) are then sent to the following entities: one goes to the president of the Senate, 2 copies to the State’s chief election officers, one to a State level judge and 2 to the National Archives. 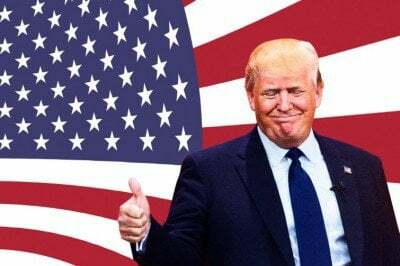 It is only on January 6 2017, that the US Congress (Senate and House) presided by Vice President Jo Biden, officially counts the electoral votes. Reports suggest that the election of Donald Trump is not ensured. At least 20 Electors are considering changing their vote, according to an earlier report. If 37 electors change their vote, Trump would fall short of the 270 required votes to win the presidency. Meanwhile, the propaganda campaign against Trump has gone into high gear. The intent is to prevent Trump from acceding to the White House. 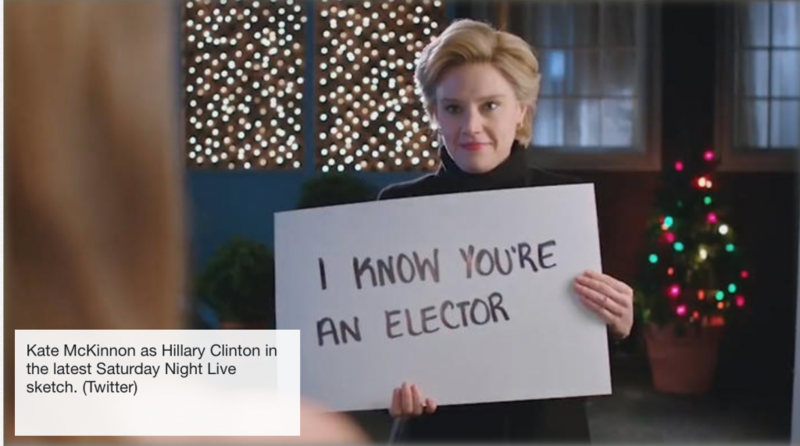 Mrs Clinton tells the elector, “you don’t have to vote for me” and offers several other options, including Zendaya, Tom Hanks, the Rock, and an actual rock. The episode, hosted by Casey Affleck, also included a sketch featuring Alec Baldwin as Mr Trump and John Goodman playing Rex Tillerson, the chairman and chief executive of ExxonMobil who was recently announced as the Trump team’s pick for secretary of state. 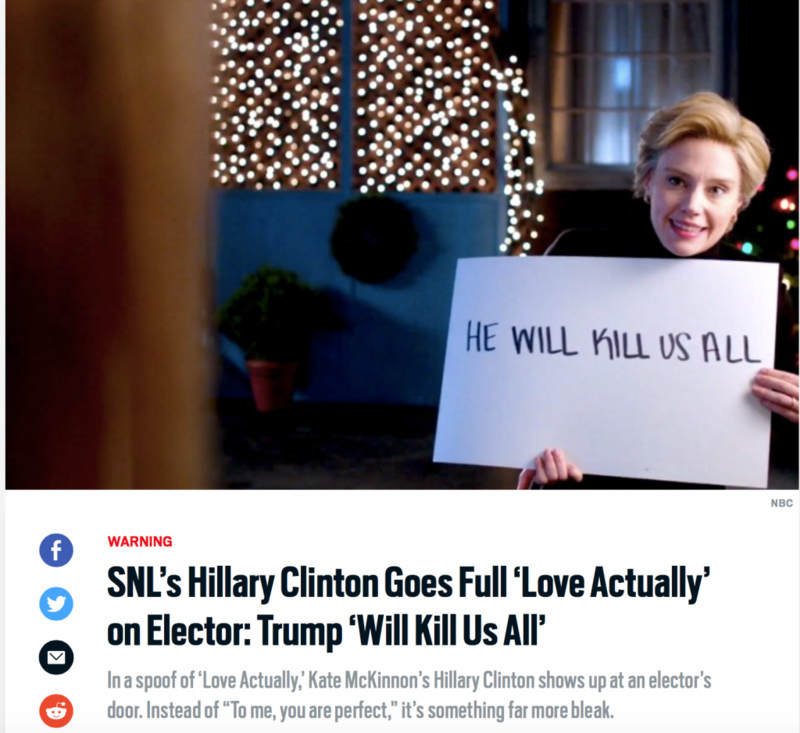 He is an agent of Moscow, “Trump will kill Us All”, says Hillary (Kate McKinnon). A political crisis is in the making which will engulf the whole country.